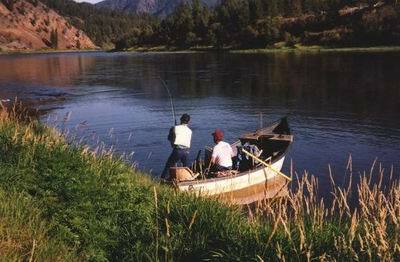 A True Wilderness Experience. 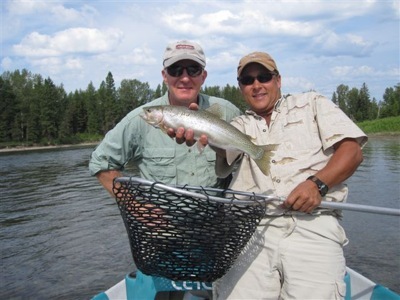 We offer guided fishing experiences that will not be forgotten. 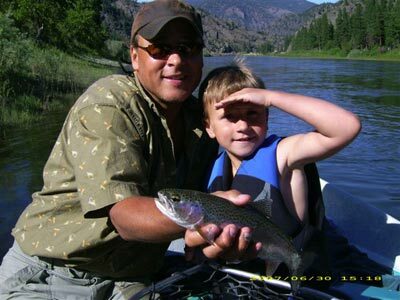 With a variety of package options we will customize the fishing adventure of your dreams. 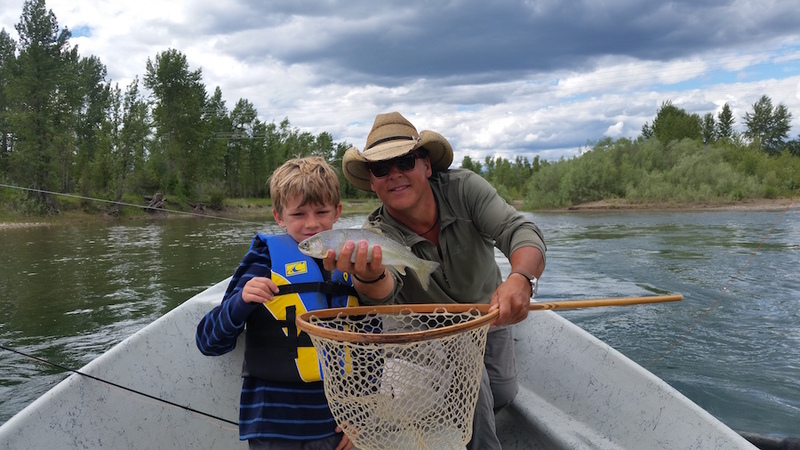 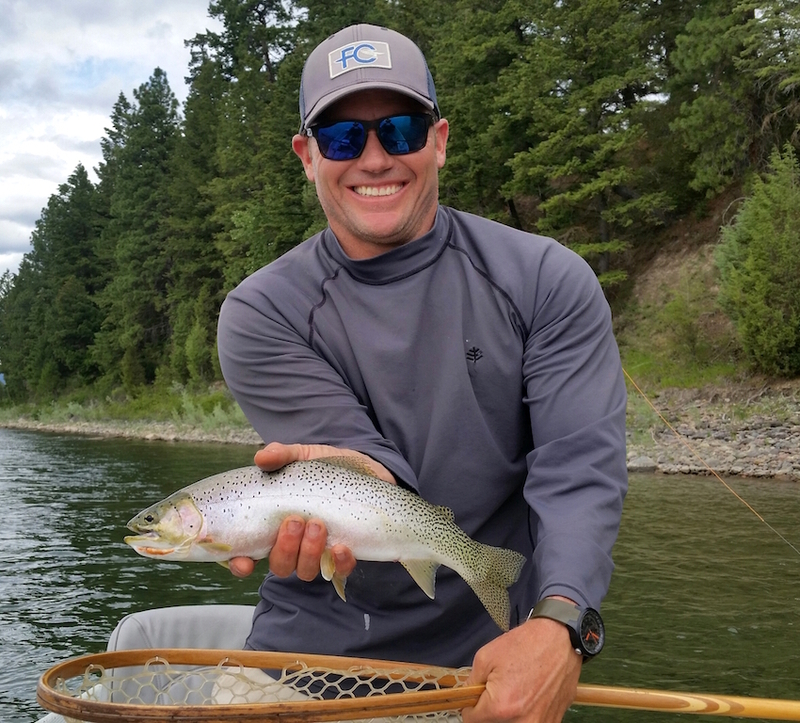 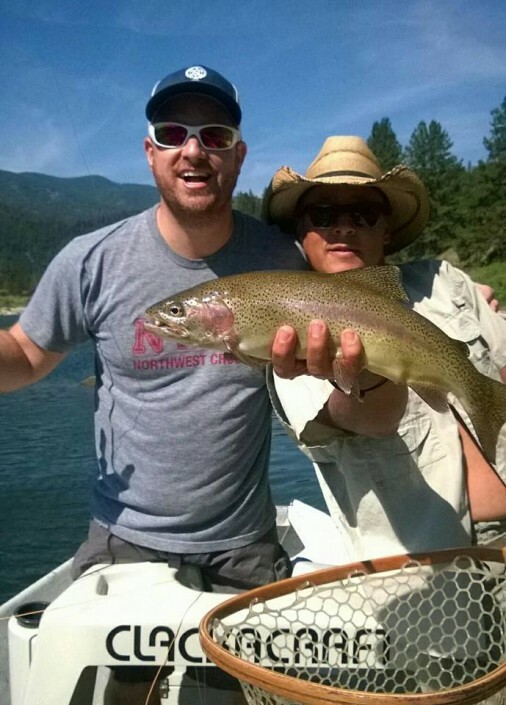 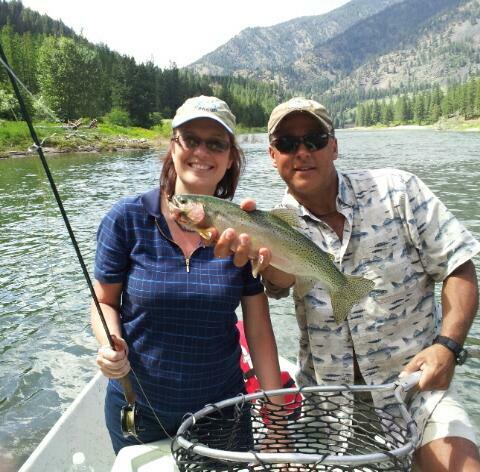 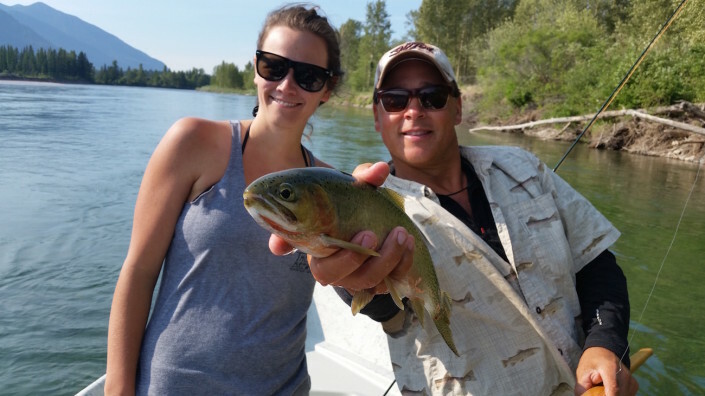 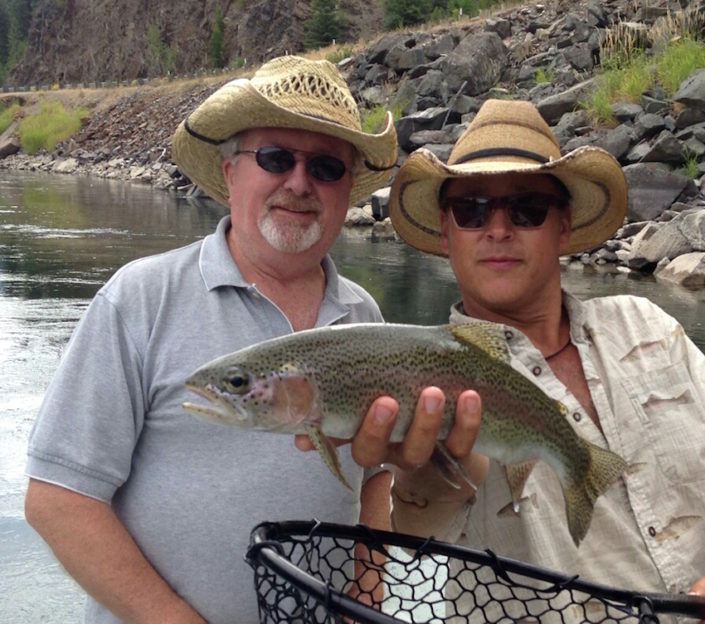 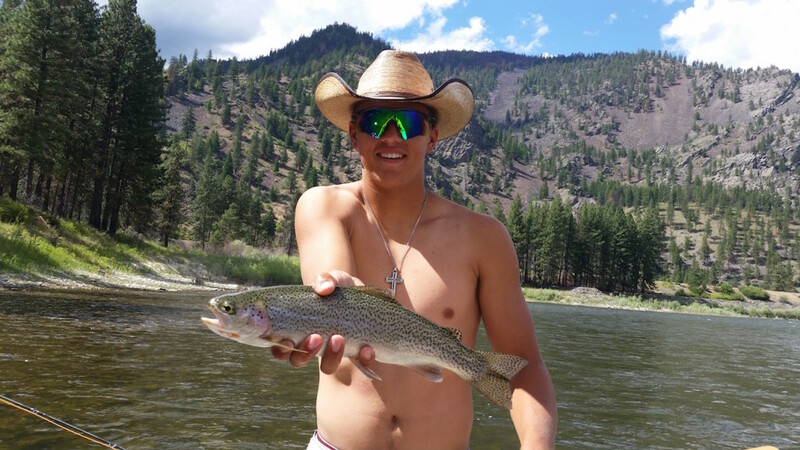 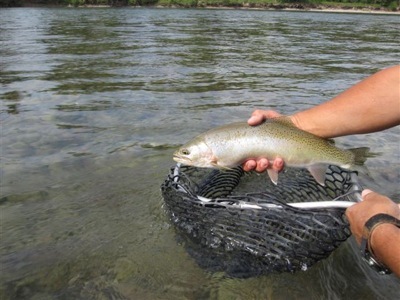 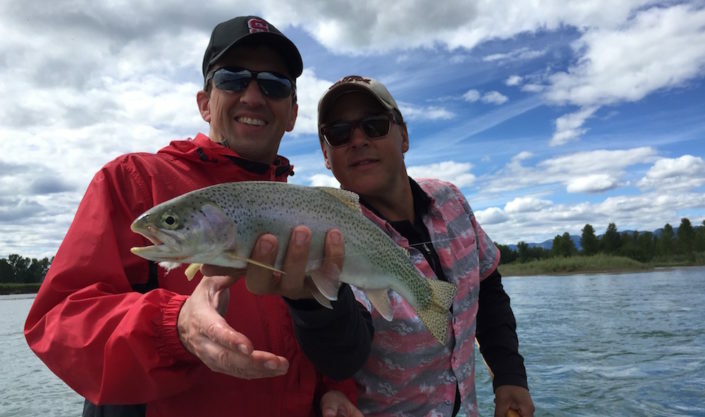 Montana’s vast mountain ranges and rivers offer a variety of fish species. 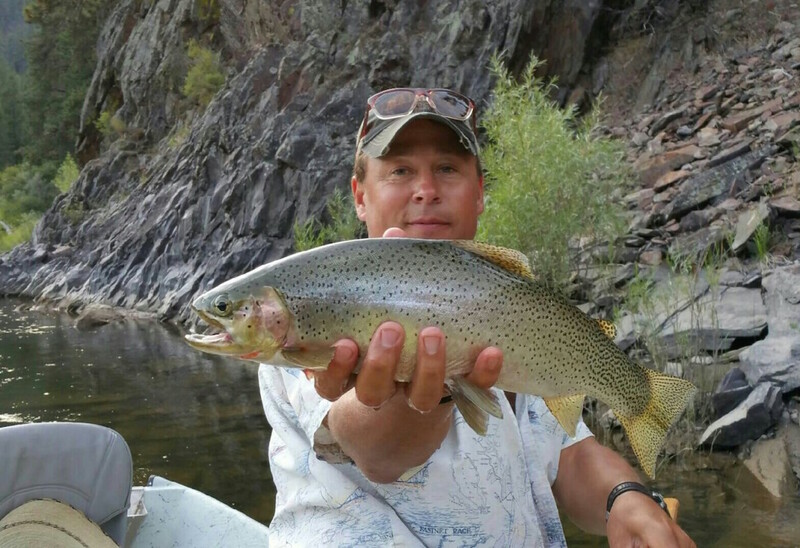 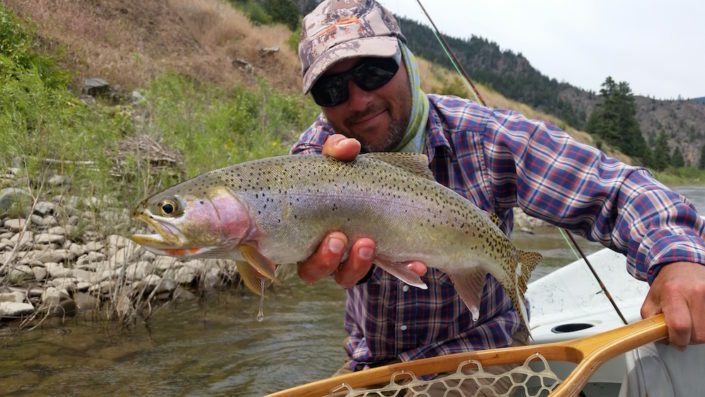 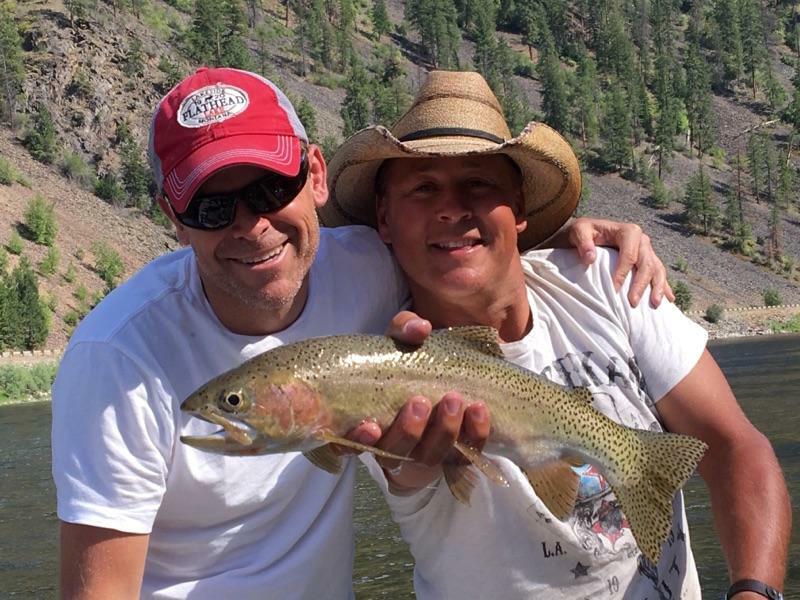 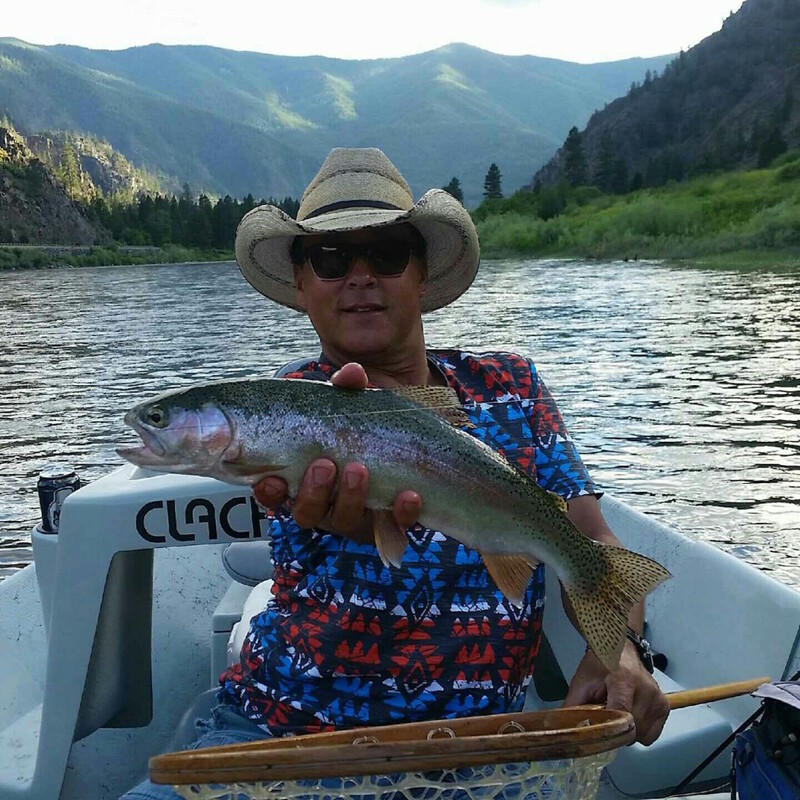 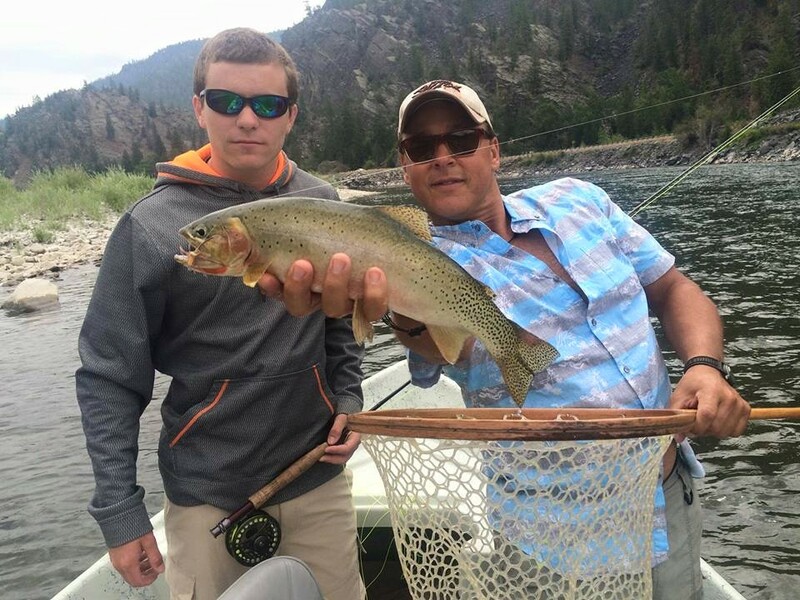 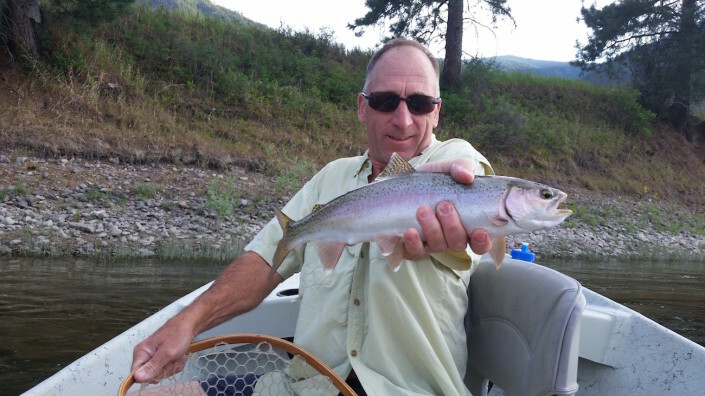 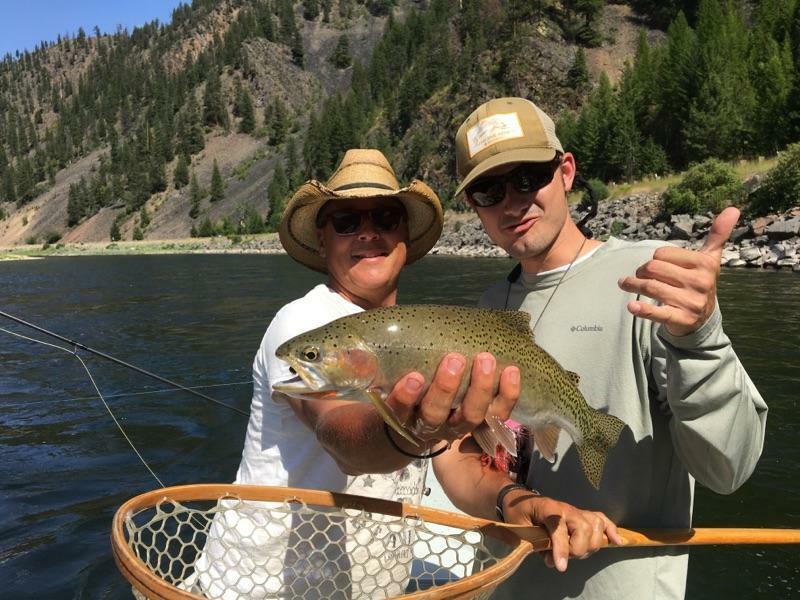 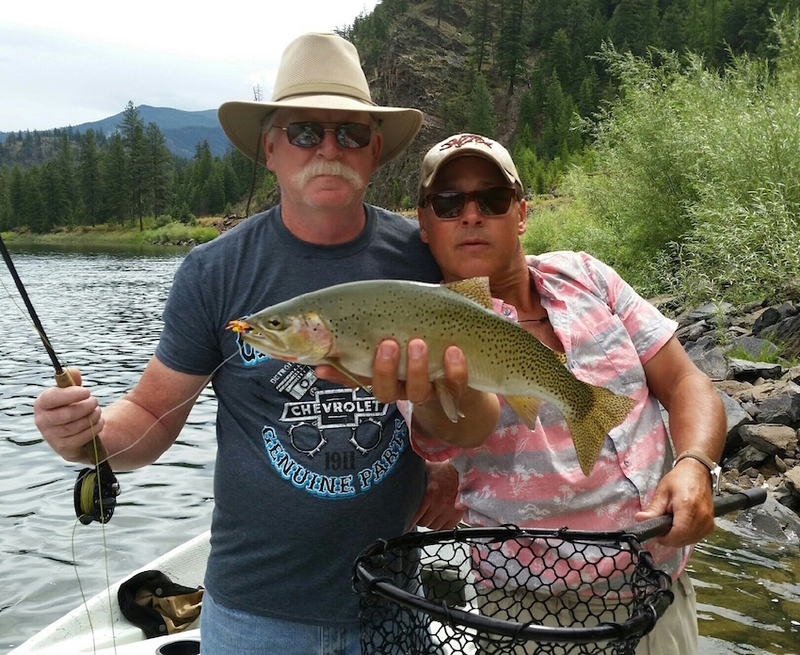 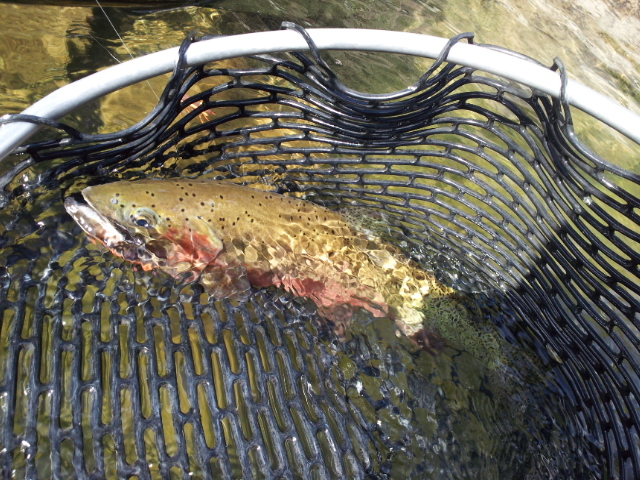 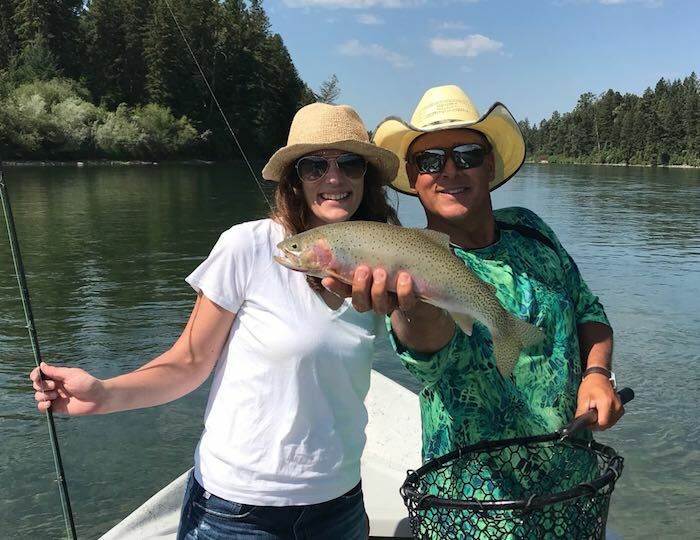 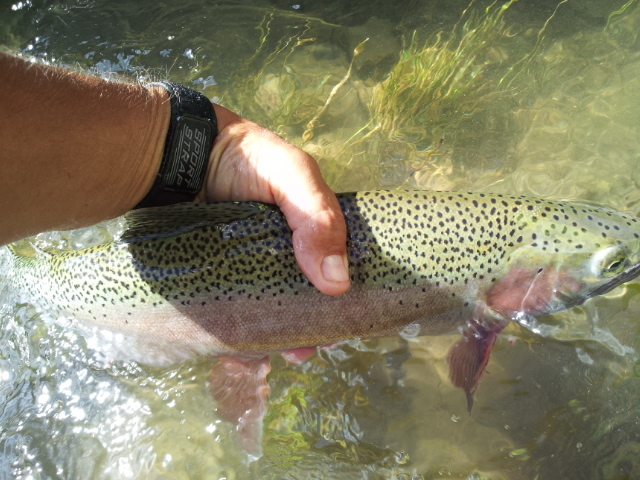 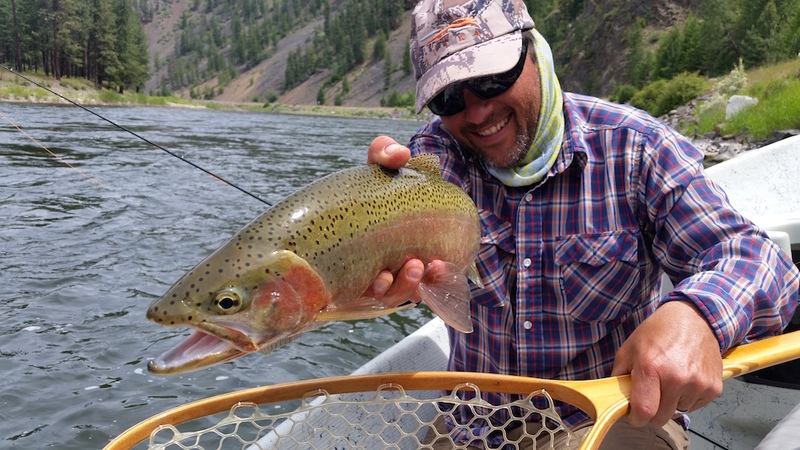 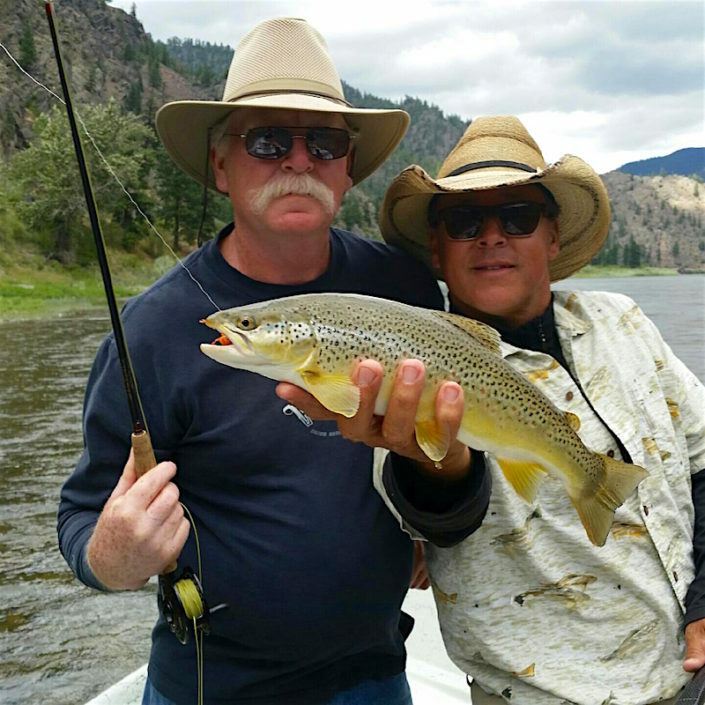 Along the Clark Fork River or the Flathead River you will mainly catch Rainbow and Cutthroat Trout with occasional Browns. 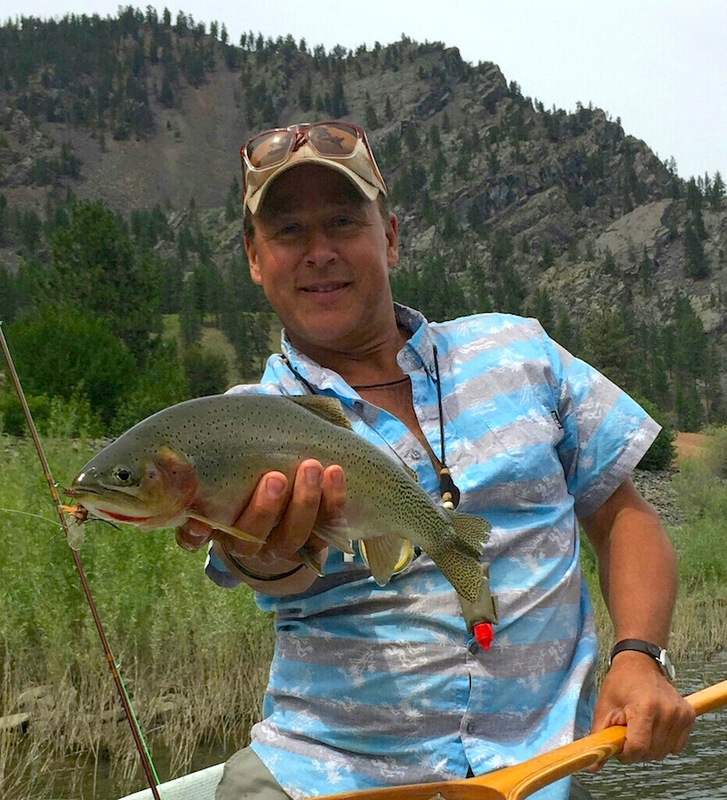 These are the types mostly caught on dry flies. 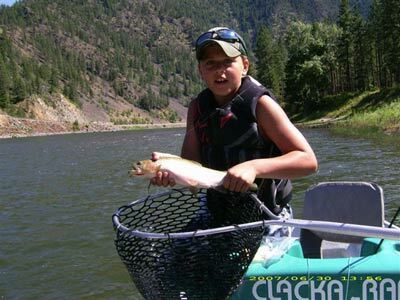 Some areas of the Clark Fork and Flathead Rivers also hold it’s share of very large Northern Pike or Bass. 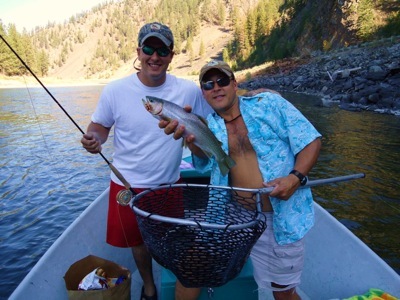 Take your pick… High mountain lake fishing expeditions are also available on a variety of Montana Lakes. 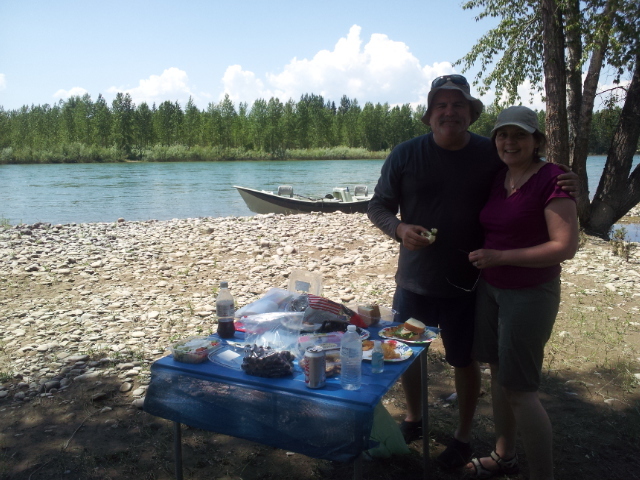 We offer complete guide services for scenic raft trips and river floating. 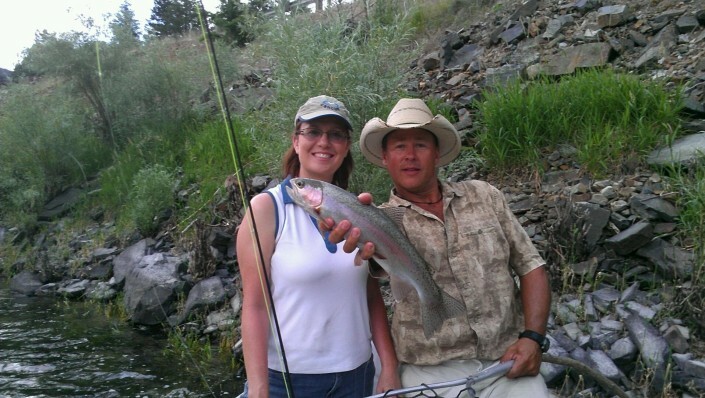 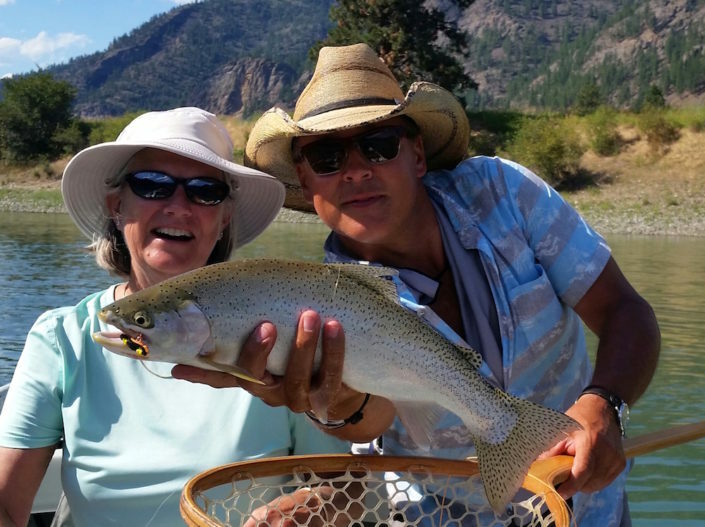 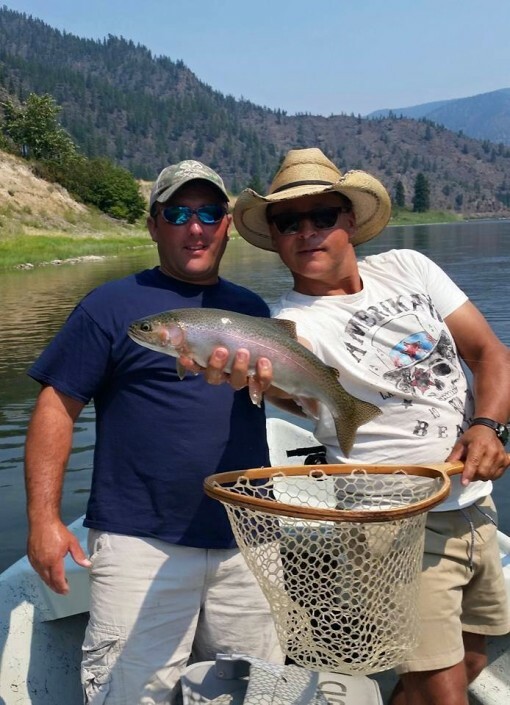 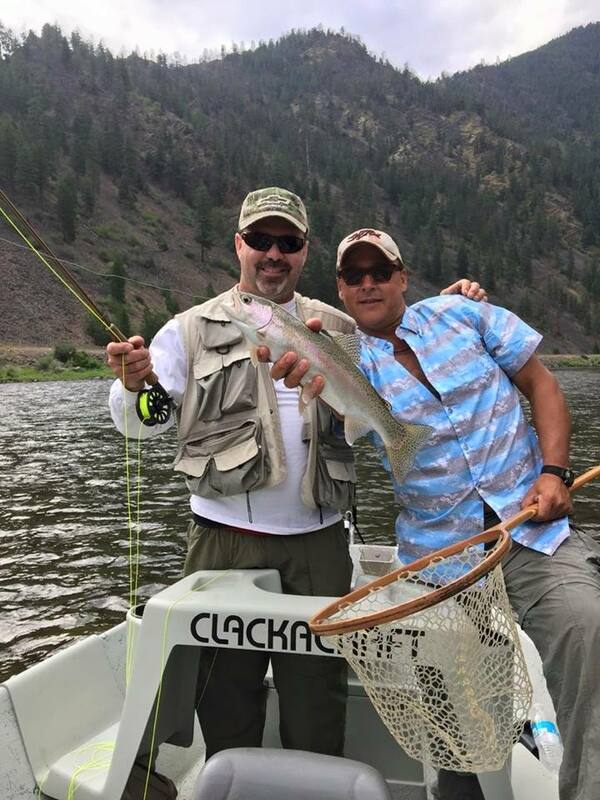 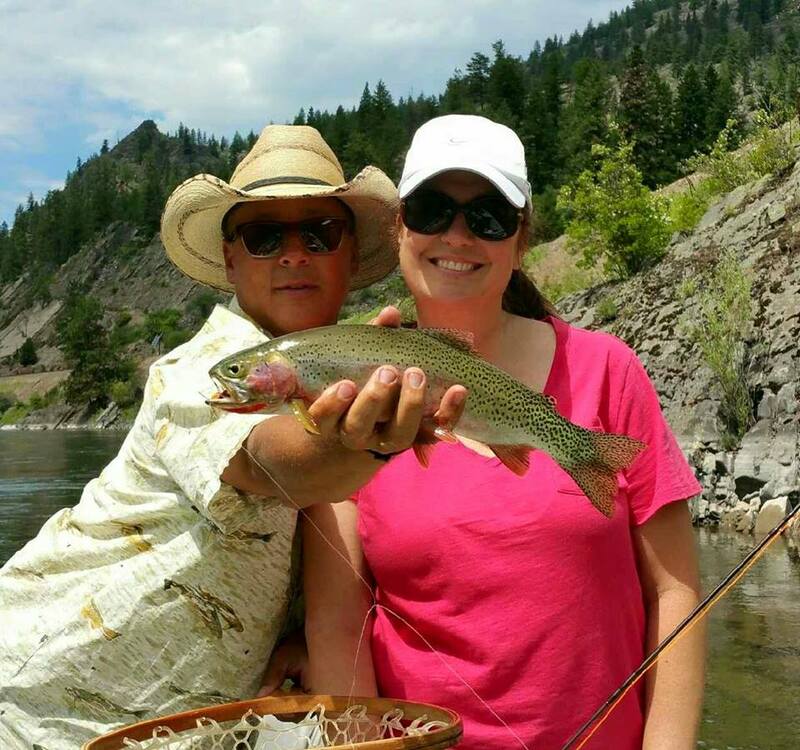 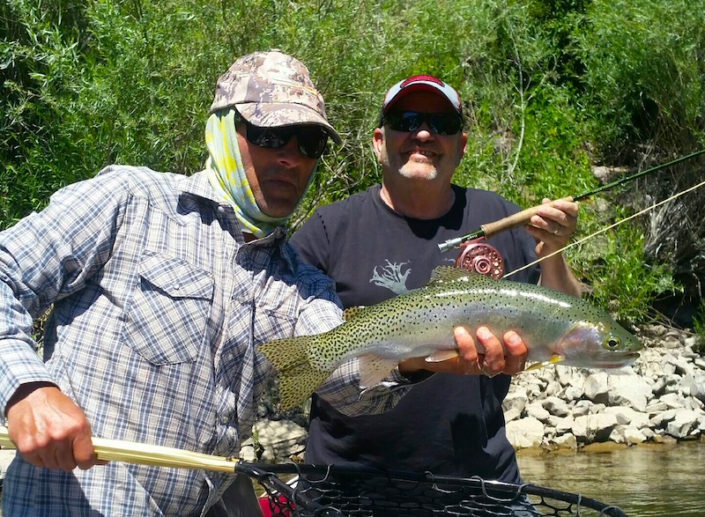 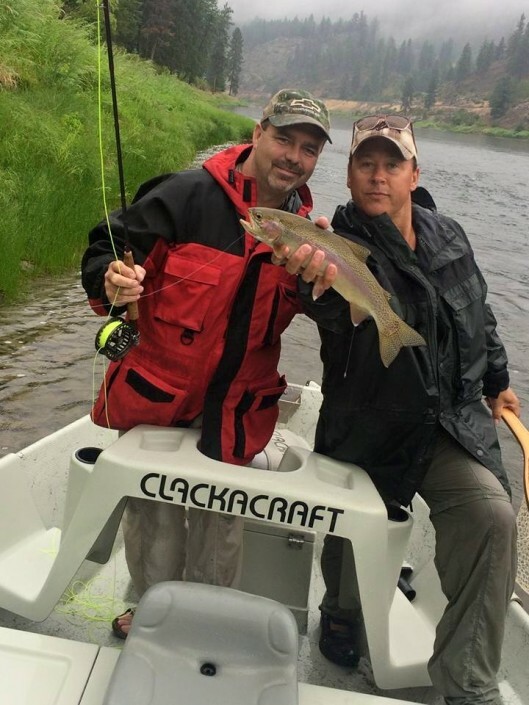 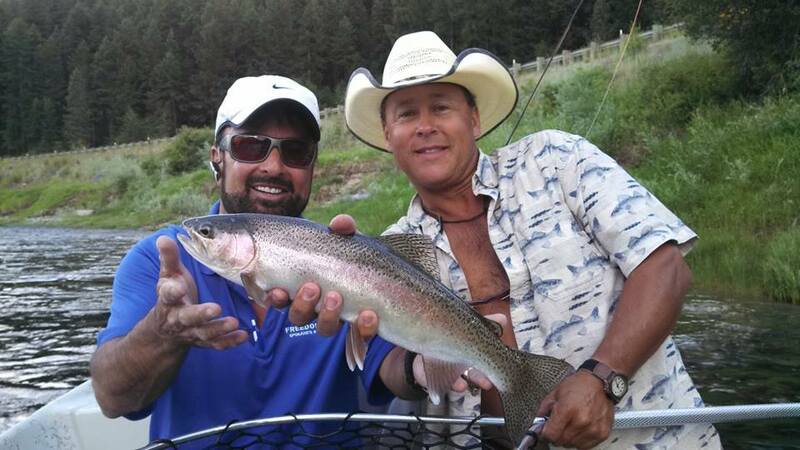 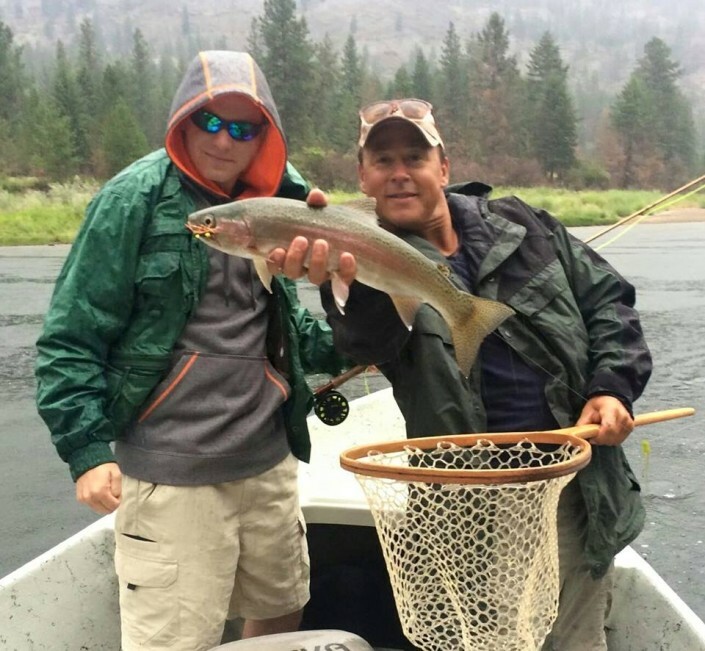 Our fly fishing guides and instructors are highly skilled, courteous & knowledgeable fly fisherman. 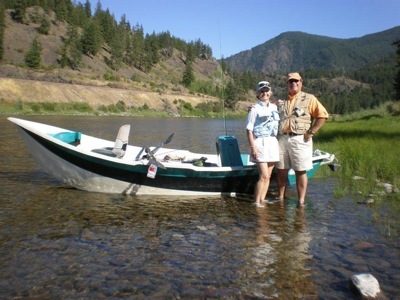 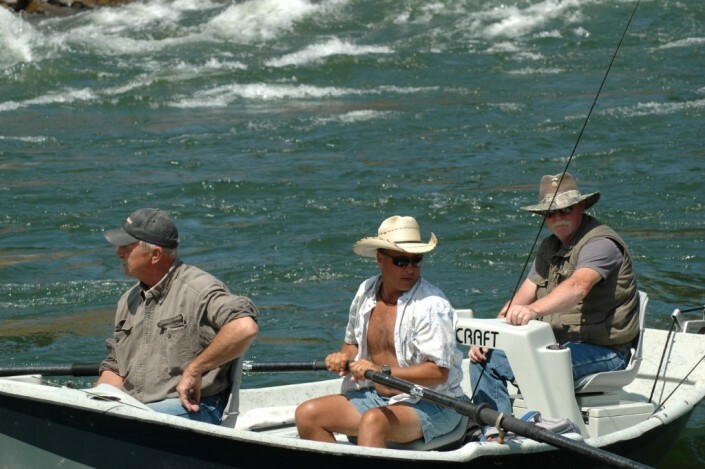 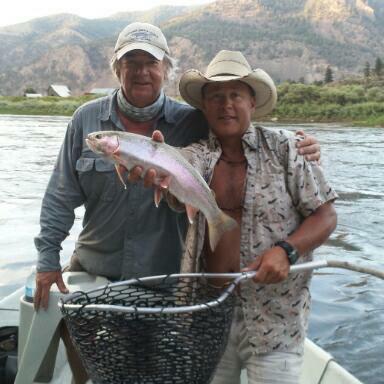 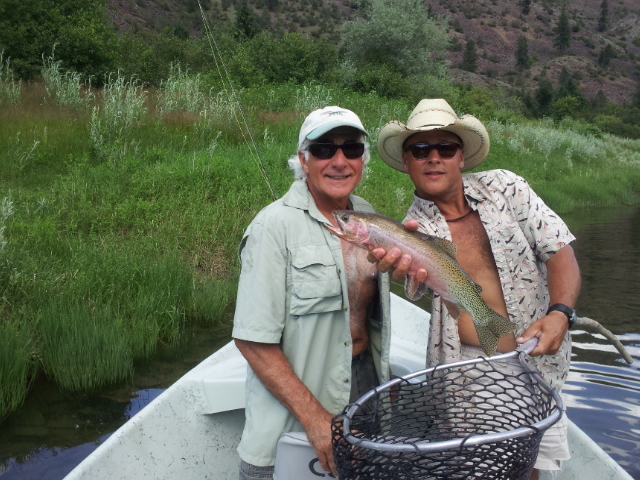 We do most of our fly fishing from comfortable drift boats.